The figures are playing musical instruments often connected with the cult of Cybele: the tambourine, small cymbals and the double flute. 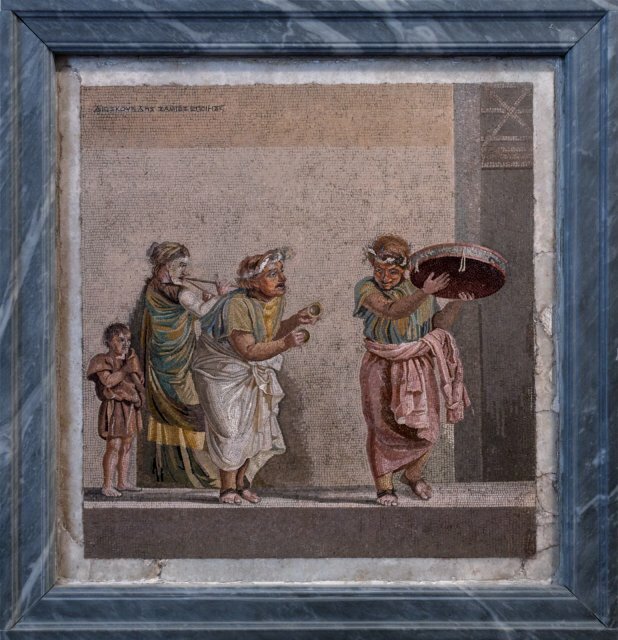 The mosaic is one of the finest surviving works from the ancient Roman world. It measures 41×43 cm. None of the stones are larger than 2.5mm and many of the finer details are made with tesserae smaller than 1 sq. mm.